Truly the gig gods are smiling on Manchester this week. 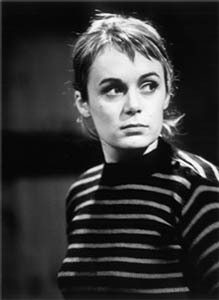 Isobel Campbell(photo above), the sweet-voiced singer late of Belle and Sebastian, has been getting a lot of press recently, mostly for Ballad of the Broken Seas, her unlikely collab with Queens of the Stone Age frontman Mark Lanegan. But she's going to be performing solo Tuesday at Night and Day, with Jenniferever and Superkings warming up. Her album, according to the Guardian, is chock full of “...warm, atmospheric songs... honey-coated whispers...lost in the slow-motion melodies...windswept lullabies....” (That's lot of ellipses, no? I just pulled that blurb off the N+D website, but it makes you wonder why they had to chop the quote up so much.) Anyway, it's gotta be better than sitting through a mediocre, overpriced meal in some joint that's decked out with pink doilies. On Wednesday, Gothenburg, Sweden's homegrown hero, Jens Lekman plays the King's Arms in Salford, a beautiful old pub with good beer and a smallish performance space upstairs. Jens doesn't seem to have much of a profile around here, but he's getting a lot of rave reviews over in the states; here's the one that turned me onto him. I really dig his music - it's quirky, heartfelt pop - and you've got to respect a man who plays the ukelele. Bill Wells and Vinny Peculiar open. Details here. If Lekman doesn't appeal, Brad Meldhau is playing the same night over at the Royal Northern College of Music (details here). He's an insanely gifted jazz pianist who delights in obliterating genre boundaries - his versions of some Radiohead songs will make your brain melt. And acoustics-wise, the RNCM is my favourite venue in town - the Magnetic Fields concert I saw here last year had perfect sound. Friday brings the African Soul Rebels concert to Bridgewater Hall, with Amadou et Mariam, Souad Massi and Emmanuel Jal. I don't know much about the latter two acts - Jal is a rapper, and Massi is an Algerian singer - but Amadou et Mariam should be worth the price of admission alone. 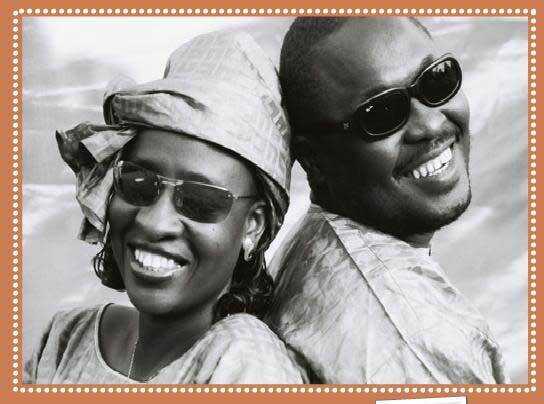 They're a blind Malian singing couple who make music that's haunting and funky at the same time. Their album Dimanche a Bamako was produced by the loopy musical genius Manu Chao, and was a massive hit in France. Am I going to all these gigs? Hell no. But someone should.